Climate change resulting from human activities made the current Europe-wide heatwave more than twice as likely to occur, say scientists. Researchers compared the current high temperatures with historical records from seven weather stations, in different parts of Europe. Their preliminary report found that the "signal of climate change is unambiguous," in this summer's heat. They also say the scale of the heatwave in the Arctic is unprecedented. The scale and breadth of the current heat being experienced across Europe has prompted many questions about the influence of global warming on extreme events. To try and see if there is a connection, researchers looked at data from seven weather stations, in Finland, Denmark, Ireland, the Netherlands, Norway and Sweden. They chose these locations because they all had digitised records dating back to the early 1900s, unlike the UK. The team also used computer models to assess the scale of human-influenced climate change. The researchers found that in the weather stations in the Netherlands, Ireland and Denmark, climate change has generally increased the odds of the current heatwave by more than two-fold. So what exactly is a heatwave? There are several different definitions of what exactly makes a heatwave but the researchers in this study have gone with the hottest consecutive three-day period in a year. This has allowed them to compare the data from the seven different locations over the past 100 years or so. "In many parts of Europe three day heat is not very exceptional and you could argue that it would be better to look at longer," said Dr Friederike Otto from the University of Oxford, one of the study's authors. "But we've looked at longer periods and it doesn't change the result very much." The researchers also say the warmest three days in succession this year may not yet have happened but they believe that even if next week is warmer, it won't change the overall impact. Is this definitive proof of the impact of climate change? Scientists are loath to say a specific event was "caused" by climate change - however they believe that this new study joins a growing list of solid links between rising temperatures and extreme events. One thing the researchers can't say right now is whether the high pressure system that has been blocked over Europe for almost two months was caused by climate change. The scientists, from the https://www.worldweatherattribution.org/" rel="nofollow - World Weather Attribution group say they will address this question when they formally publish their findings in a scientific journal later this year. Can they tell us when another heatwave will strike Europe? They can't be that definite. However the study does give figures for what are termed "return periods" or the chances of something happening again. They estimate that in southern Scandinavia it's likely there will be a similar heatwave every 10 years, while further south, in the Netherlands, it's likely to be once every five years. This ties in with projections from several scientists that the type of heatwave we've had this summer could occur every second year by the 2040s. "The logic that climate change will do this is inescapable - the world is becoming warmer, and so heatwaves like this are becoming more common," said Dr Friederike Otto, from the University of Oxford. "What was once regarded as unusually warm weather will become commonplace - in some cases, it already has," she added. While acknowledging that the current heatwave in the Arctic is unprecedented in the historical record, the researchers were not able to clearly resolve the impact of human influence. That's because summer temperatures there vary a good deal from year to year so the trend was impossible to estimate from the observations, the authors said. Despite their reservations about the Arctic they argue that their initial findings should prompt more action on cutting carbon from governments. "We are not taking the right measures," said Dr Robert Vautard, from the CNRS in France. "We are discovering climate change rather than doing something against it." How do you work out the influence of climate change? It involves some serious number crunching! This new research is called an attribution study - the researchers work out how often these type of extreme heat events have happened at each of the weather stations they looked at. They compare those findings to modelled results of the climate without the influence of human emissions of carbon dioxide. This way they can work out how much climate change has tipped the odds of a rare event happening. Have other extreme events been linked to climate change? The list continues to grow. The major European heatwave of 2003 was among the first events to be linked though it took scientists several years to do it - eventually they concluded that human induced climate change had made the event 500% more likely! These days the attributions studies are much faster - just last year scientists concluded that the flooding in Houston, Texas was made 38% more likely by climate change while the so-called "Lucifer" heatwave in Eastern Europe was made 10 times more likely. This new study was completed in less than a week. 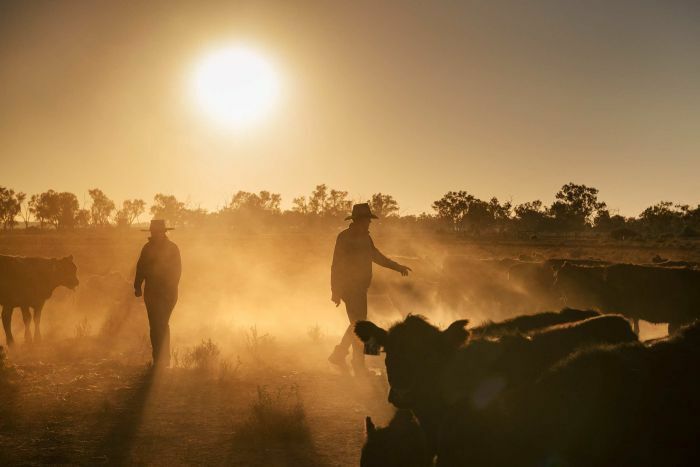 http://www.abc.net.au/news/2018-07-29/graziers-round-up-their-cattle-at-sunrise/10047702" rel="nofollow"> http://www.abc.net.au/news/2018-07-29/graziers-round-up-their-cattle-at-sunrise/10047702" rel="nofollow - - Some drought-hit farmers have said they cannot afford basic items and food. http://www.abc.net.au/news/2018-07-09/farmers-offered-water-from-the-public-pool-drought-talks-begin/9956892" rel="nofollow - http://www.abc.net.au/news/2018-07-17/farmer-in-drought-turns-to-watermelon-to-feed-cattle/10000848" rel="nofollow - http://www.abc.net.au/news/2018-07-15/farmers-wait-for-rain-continues-across-nsw/9991392" rel="nofollow - http://www.abc.net.au/news/2018-02-18/graziers-give-up-on-wet-season-cattle-on-move-drought-queensland/9380172" rel="nofollow - Up to 15,000 farmers who are eligible for a Federal Government drought assistance payment have not applied for it, according to new figures. Drought-ravaged farmers can apply for the Farm Household Allowance (FHA), a payment equivalent to the unemployment benefit. Since 2014 about 8,000 people have accessed it. But about almost double that number may be eligible and have not made an application, according to the Agriculture Department. How bad is the drought? The last time it was this dry at this time of year, women were just getting the right to vote in federal elections and the Boer War was ending. 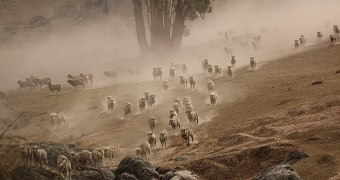 Farmers in stress have told the ABC they are unable to afford school excursions, new clothes or some basic items including red meat and vegetables because the majority of their money is being channelled into the spiralling cost of paying for stock feed and transport. Many struggling families have raised concerns about the significant paperwork required to apply for the payment. The Scott family in Yeoval, in drought-affected New South Wales, described months spent dealing with bureaucratic red tape. They are still yet to be approved for the payment. Federal Agriculture Minister, David Littleproud, has already asked the Department of Social Services to look at ways to simplify the process to apply. He said the review of the FHA would investigate the reason the take-up for the benefit was so low. "I've called again and again for farmers not to self-assess whether they qualify for the FHA," he said. "Farmers need to use the free help we provide — Rural Financial Counsellors — and talk through it with them. "Government can't make it rain, and heartbreakingly we cannot save every farmer, but we can and do provide free expert advice through Rural Financial Counsellors and I urge farmers to use it." Some farmers are struggling through their fifth or sixth consecutive year of drought — but the cap for income assistance is only three years. 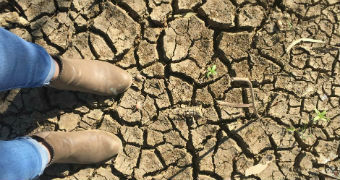 Large swathes of New South Wales and Queensland have been in drought for periods ranging from a year to seven years. The record dry conditions have prompted calls for further federal and state measures. The New South Wales Government has so far resisted pressure to reinstate freight subsidies to pay for the transport of hay, grain and other fodder. Extra assistance for New South Wales farmers is expected to be announced by the State Government this week. 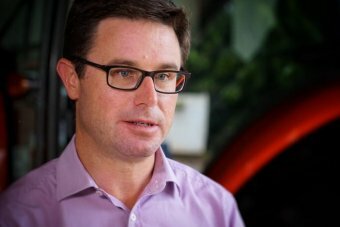 Mr Littleproud said his government would work with the National Farmers Federation on other policy measures in coming months. It rained here yesterday and today - about two inches - all the rain that had stayed away for the last month in hours. My front yard is a sea of buckets to store as much as possible before the predicted heatwave/dry spell returns. This is difficult weather. Scotland simply does not get spells like this, well not until now. We are coping quite well, but many local farmers are not so lucky. Bread will soon rise in price. Ok, so that sort of thing does occasionally happen, it happened in 76. But 76 was a very short heatwave. I remember winter hanging on until June. One week we built a snowman in the Quad: a week later we were all suffering sunburn. This summer is far longer, nought point 'something tiny' hotter and far, far drier. It is also spread over an area at least three times as large - possibly more (BBC news). Times they are a' changing. Ok, so that sort of thing does occasionally happen, it happened in 76. But 76 was a very short heatwave. Woe to me if I ever forget that year....we were married in the middle of that heat wave (July), with the reception in the garden of a London house. Here the clouds are massing for thunderstorms but not rain yet. DJ-This "heat-wave" is a global event effecting foodproduction and distribution worldwide. East-Asia is dealing with storm after storm, from August we may see (extreme) storms (since the oceans are that hot) also effecting North America and Europe. -The most useful "baseline" for global temperature rise since industrial times would be 1750. I see quite often the use of 1850-1880 sometimes even 1980 as a baseline. That is a way to hide the extreme situation we are in. -Storms/droughts will effect energyproduction. May (soon) cause the next major nuclear disaster(s) and/or worsen present-Fukushima-disasters. -Long term drought will bring changes in the flora and fauna of many area's. Therefor area's once usefull for foodproduction may not be useable any longer. -The present global heatwave is just a step in a fast proces. There is that much heat in the oceans, that much methane release in many area's, (not just the Arctic) that much (sea)ice-melt that one only may expect abrupt global climate change.